Photo Booth Shopping isn't something you do very often, so you should have questions and lots of them. If you're question isn't below, email us HERE and we'll be in touch. Pricing depends on several factors: How many hours you're looking to rent, which machine style you prefer, which add-ons (if any) you want, and exactly where and when your event is (events out-of-town may cost more and based on demand, some days may be more expensive than others). You can get a ballpark quote by completing the short form HERE. How Long Should I Rent For? Determining the ideal rental length depends on several factors: How many guests you're expecting, the timeline of your event, and what's in your photo booth budget. Obviously, the longer you rent the more money we make but we get budgets and have lots of ideas on how to help you get the most value from your rental - regardless of how long it is. Keep in mind that a 4 hour rental means 4 hours of photo entertainment so no need to factor setup and takedown when determining how many hours to rent for. What Do I Need To Make My Reservation? An event, a location, the date, and money for a down payment. Which Machine Is Better? The Booth or Stand? That's like asking parents which child they love more and expecting an honest answer! The machines are identical in terms of quality and features but based on your event type, we do have recommendations. When Do I Finalize Timing / Add-Ons? Anytime after you've made the reservation and before your event. We typically finalize details 2 weeks before the event. How Early CAN I Make My Reservation? The sooner the better as the closer your date gets, the less availability we have which typically results in the price being slightly higher (the early bird gets the worm around here). Certain dates completely book out so let us know how we can help you decide if we're good fit sooner than later. Can I Add Extra Time or Purchase Additional Add-ons After Making my Reservation? Yes. You're always welcome to spend more money with us. In all seriousness, we suggest securing the reservation and then adding extra time and/or deciding which add-on(s) if any you want as the date gets closer. When Should I Start my Rental? Every event is unique, but in general the later into the event we start the better- especially if you're serving alcohol. Pro Tip: End your rental slightly before your event ends as things tend to slow down at the end of the night. Where's the Ideal Setup Location? 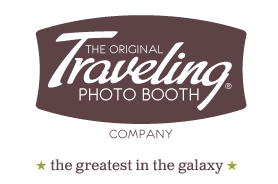 Since we've been around for 14 years (which is forever in photo booth years) we've most likely setup at your venue at the past and have a few ideas. In general, closer to the action (eg dance floor, bar, etc.) the better. Can I Provide My Own Guest Book, Prop Kit or [Insert Add-On Here] ? Yes. You're the boss. While we believe you'll have a difficult time finding add-ons that rival ours in terms of quality and value, you are more than welcome to provide your own add-ons and our attendant will make sure they get used and abused. Start by learning a bit more about us HERE. From our contact page, you can create a quote or easily call or email us and we'll gladly create a personalized quote for you.